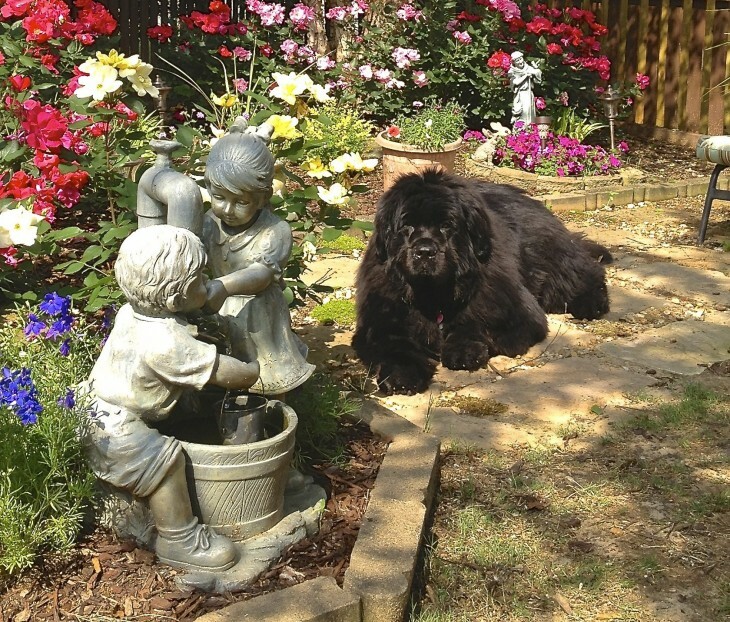 You are here: Home / Dog & Horse Stories from my memory bank.... / Luci in the Garden….. I have a dear friend, CM, whom I have known for a very long time. 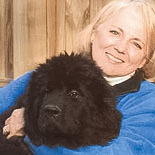 We met through our Newfoundlands dogs, worked in rescue together, and shared a mutual love of this incredible breed of dog. She lives now in the Atlanta area, close to her children, so we do not get to see as much of each other as we would enjoy doing. 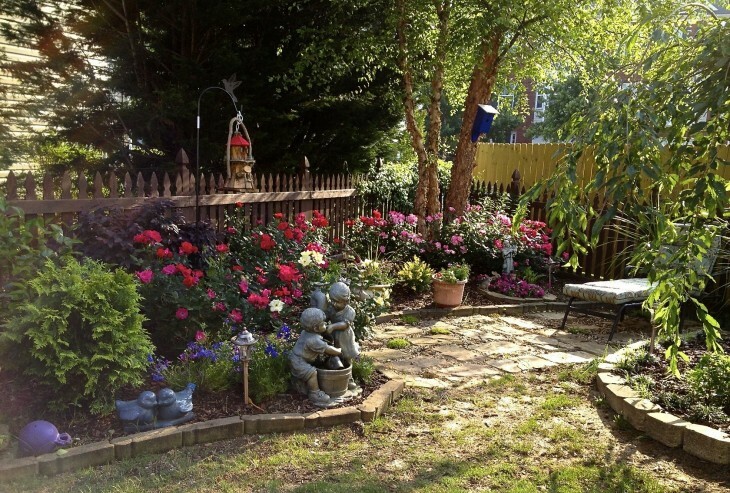 Last night she sent me photos of her small townhouse garden, that her children and grandchildren lovingly refer to as “Mimi’s Secret Garden” , and it certainly seems an apt description. 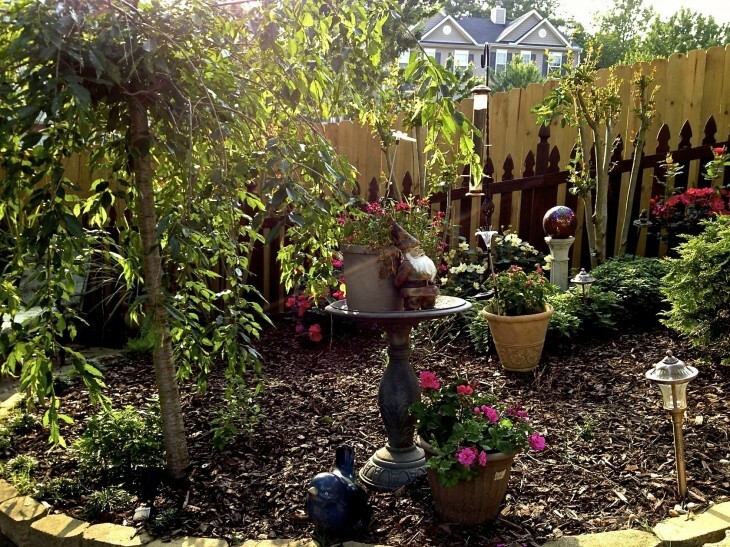 She wishes she had a larger garden but she has put together such an inviting space in the stretch of yard she has that I wanted to share it with you. 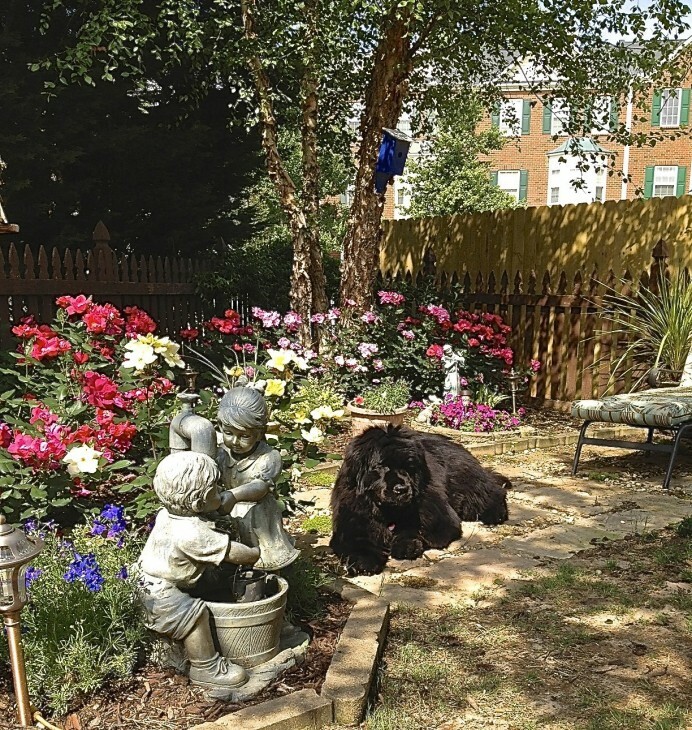 Her garden also illustrates that a garden and dogs are not mutually exclusive. I find, and I think Carole would agree, that there is nothing more satisfying than working in, walking or sitting in the garden while your dog is by your side. They add such a warm and dignified presence as well. 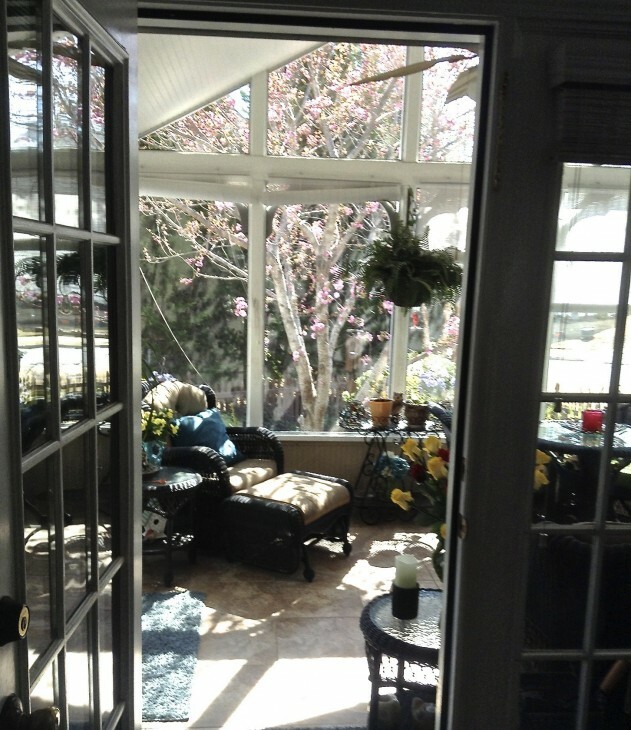 CM designed her garden such that she can enjoy it from inside as well, and during all the seasons. For example, she selected a birch tree that provides wonderful shape and texture even in fall and winter. She has bits of whimsy scattered throughout, and is a delight to the grandchildren. 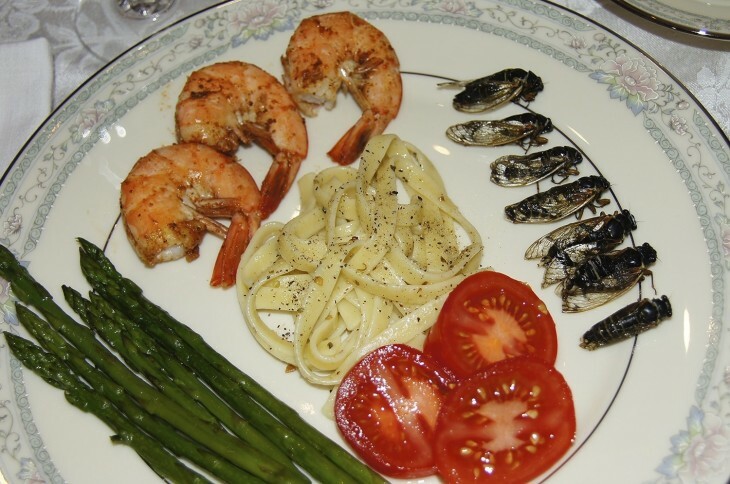 Her neighbors look forward to seeing what she adds every year as well as being able to enjoy it on their walks, and in some cases, from their own yards. 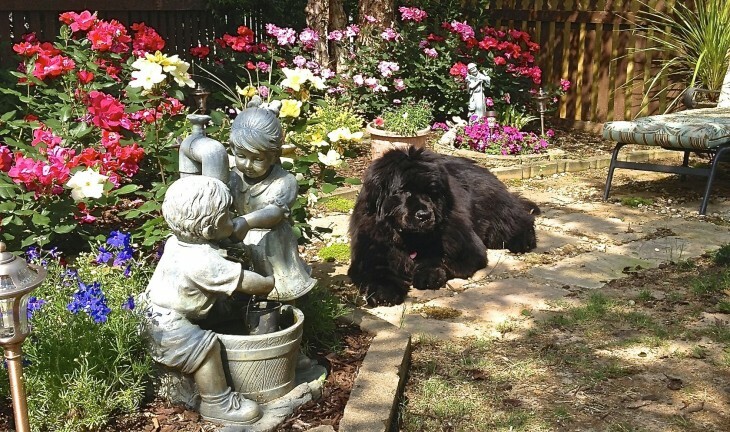 So here we have CM’s garden and our first, Breed in the House photos, which just happens to be of a very much loved Newfoundland in the garden! A partial view from her garden room, where she has coffee every morning. CM also has her garden illuminated at night. It looks quite beautiful , but the photo she sent me was unfortunately too small to share. Thank you for the garden inspiration. When Carole moved in she sent me a photo of the yard, long and naked! 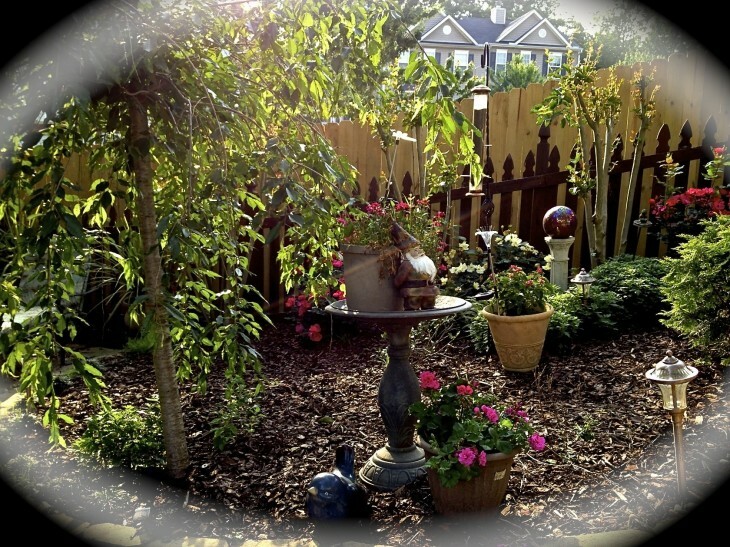 Over several years she has planted every tree, shrub and bush resulting in her own garden respite. Nice job! 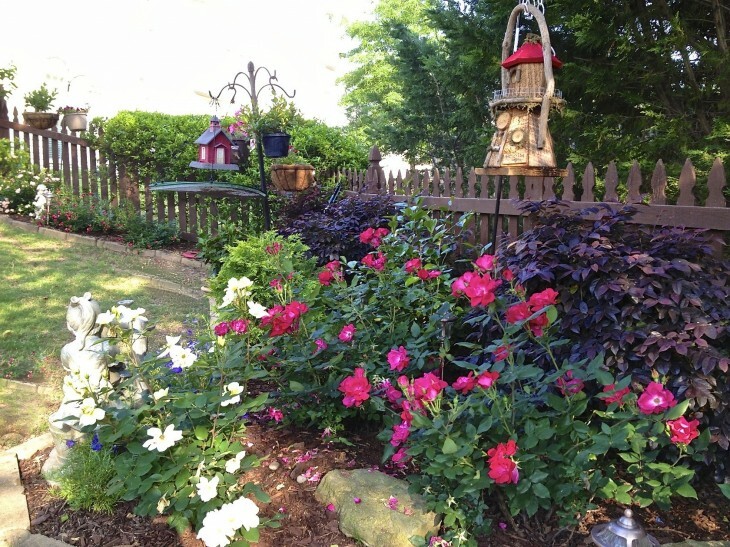 Well readers, I would love to see photos of your gardens, your pets, or both!